Camberwell 1998 by Dominic Swords. Household Paint. A classic of Japanese Art painted on an inner city Wall. 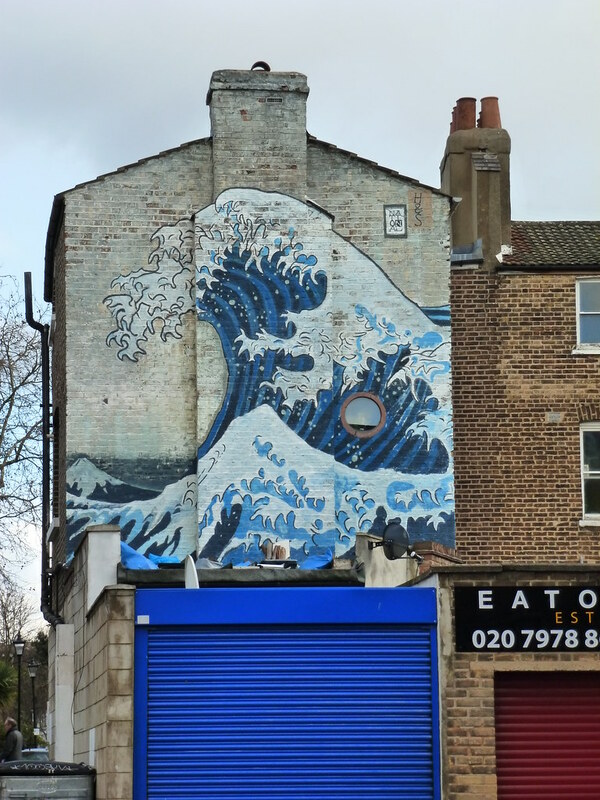 On arrival to Camberwell from Brixton, riders of the local bus service can spot a version of Japanese Artist Hokusai’s Great Wave off Kanagawa, an image very much recognised if not always identified. 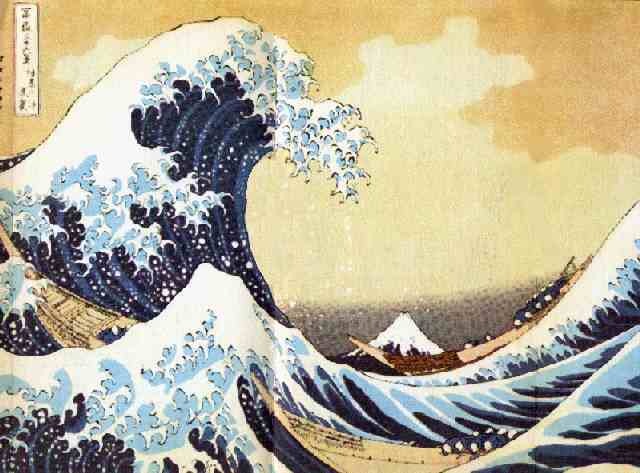 This version is actually reversed to make it appear as if the wave is about to crash into the alley. The piece was created in 1998 for the Camberwell Arts Festival by artist Domonic Swords who lived in the building at the time. The mural is painted directly onto the bricks and is in fairly good condition. With no reason for it to be removed, let’s hope this copy of Japanese art continues to welcome people into Camberwell. UPDATE 2012 The mural was recently damaged in a fire (3rd April 2012). The left hand side shows smoke damage. It is not known if this will be easy to repair or if anyone will want to do this. The recent fire has damaged part of the mural. Asides from this, there is some indication of paint peel. It is also painted on brick so any changes to the brick will affect the paint work. From Camberwell Green, head away from Elephant and Castle towards Denmark Hill. Walk past the Butterfly walk Shopping Centre and the other parade of shops until you get to the junction of Coldharbour Lane and Denmark Hill. Take a right onto Coldharbour Lane, and staying on the left hand side of the road, take the first left. This is Coldharbour Place. The mural is straight ahead.